I, therefore decided to keep it as it is. Was it a good decision to make, If not please Let me know and I'll edit it. Edit: The question was edited! End of popularity! In your example, the title is perfectly readable, even if the lining numbers in Georgia are not to everyone's liking. I would leave it be; there are far worse things around. Hot List is not the primary consideration here, but as long as the question is not embarrassment, having it there is slightly better than not having it. More people will learn something about induction as a result. Not the answer you're looking for? 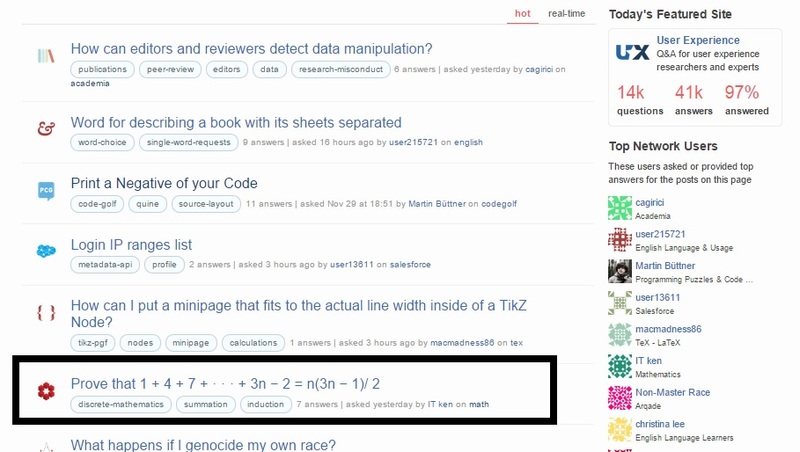 Browse other questions tagged discussion mathjax editing titles hot-questions-list .